Join the American Tinnitus Association In Raising Awareness about Tinnitus and Hyperacusis! Our Mission: Improving the lives of people with tinnitus and hyperacusis by providing hope of a quieter future through education, advocacy, and research toward a cure. ATA invites you to join our challenge to "Make Some Noise About Tinnitus" during this year's Tinnitus Awareness Week (TAW). 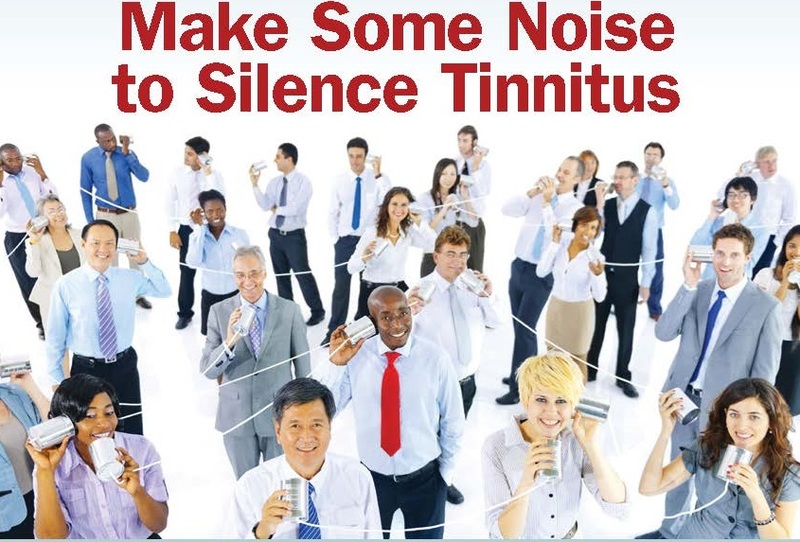 We have provided you with some educational materials that you can share with your friends, family, co-workers, doctors, Facebook friends and other social media followers that can help you raise awareness and make the right kind of noise about tinnitus and hyperacusis. A great way to make some noise and raise awareness of tinnitus and hyperacusis is to reach out to your local media outlets. ATA has developed a press release for Tinnitus Awareness Week 2016 that you can download here, or you can view as a webpage here. Simply use this press release and send to your local newspaper, television stations or radio stations via email. The subject line should be: Tinnitus Awareness Week, May 16-20, 2016. Another great way to get a reporter's attention and to raise some additional awareness is to share your personal tinnitus and/or hyperacusis story in the body of the email. Your experience with tinnitus and hyperacusis gives a reason as to why raising awareness, particularly during TAW is so important to you. You can also feel free to use some of the facts below to help support your request. Please also copy ATA on the email you send - at "programs@ata.org" so we can help you with your outreach! According to data analyzed from the 2011-2012 National Health and Nutrition Examination Survey (NHANES), conducted by the U.S. Centers for Disease Control, nearly 15% of the general public — over 50 million Americans — experience some form of tinnitus. Roughly 20 million people struggle with burdensome chronic tinnitus, while 2 million have extreme and debilitating cases. Hyperacusis is a condition that causes a person to be unable to tolerate everyday sounds and noise levels without discomfort or pain. Tinnitus is most often reported as the result of noise exposure; either from a single impulse (extreme) noise, or cumulative exposure to noise. Head and neck injury are the second most often reported causes of tinnitus. According to the Department of Veterans Affairs (VA), tinnitus remains the #1 service-connected disability for veterans from all periods of service, accounting for 1,276,456 service personnel and the cost to compensate veterans just for tinnitus is over $2.4 billion annually. 30 million workers in the U.S. are at risk for tinnitus from noise induced hearing loss (NIHL) from hazardous noise on the job. The Centers for Disease Control report that nearly 13% of children ages 6-19 (5 million in the U.S.) already have some form of NIHL. This means they may also have tinnitus or they are at greater risk for developing tinnitus.